Leave a lasting impression on that special someone. 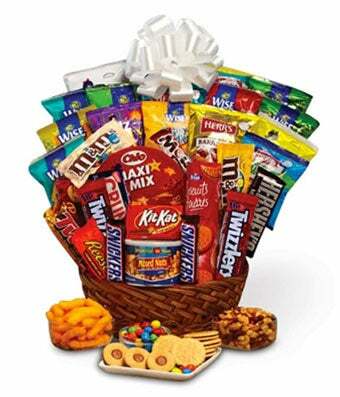 Send the Super Sweet Snack Gift Basket today! Overflowing with sweet treats and savory snacks, this unique gift basket will bring a genuine smile to your recipient's face no matter their age! Please note: contents may vary.